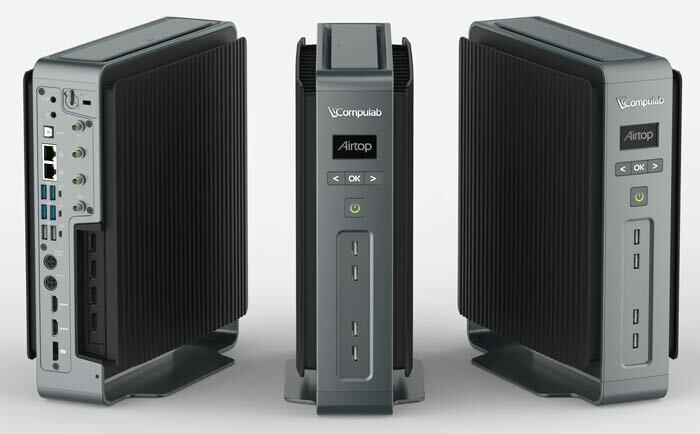 Israel based Compulab has unveiled the Airtop PC, said to be "a revolutionary fanless desktop PC, capable of dissipating 200W". The system relies on a "new concept of natural air-flow (NAF) cooling," and has been in development for three years. This 7.5 litre passively cooled desktop system is being readied in three configurations, aimed at workstation, gaming and for server use. 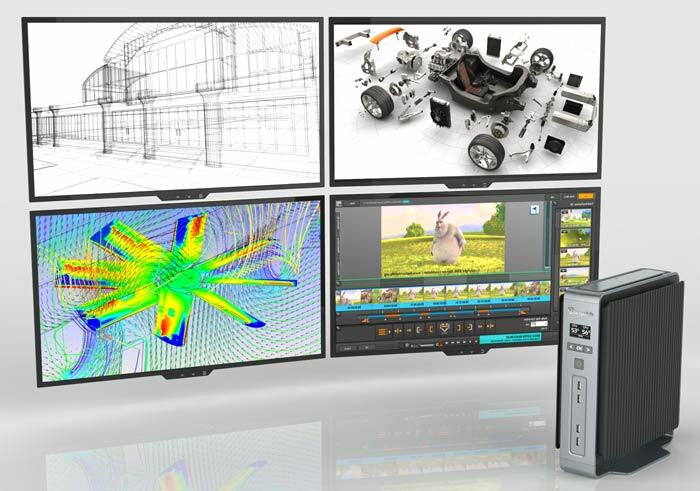 Compulab has big claims for its NAF technology. For example the new Airtop PC range has a cooling capacity that surpasses similar sized actively cooled desktops, according to the firm. Furthermore, as the NAF cooling scales with volume rather than surface area it is said to be an effective solution for bigger cooling problems faced by industry. The video embedded below goes some way in explaining the patent pending NAF cooling system in the Airtop PC. "Unparalleled performance" is promised for users of the Airtop PC systems which make use of a specially designed motherboard. Yuval Sela, Airtop hardware architect, says that "Every aspect was considered starting from thermally-optimized component placement, redundancy of power, networking and storage up to making Airtop's interior completely cable-free for easy servicing". Airtop-W is the only fanless small-form-factor workstation with an Intel Xeon Processor E3 and full-height Nvidia QUADRO M4000 graphics card. Priced from $2,999. Airtop-G is a zero-fans gaming desktop with an Intel Core i7 Processor and Nvidia GeForce GTX 950 graphics card. Prices start from $1,968. Airtop-S is a passively cooled server with an Intel Xeon Processor E3, 32GB ECC RAM, 4 hard-disks in RAID and 6Gbit Ethernet ports. Prices start from $1,810. In addition a barebones Airtop-DIY system will be made available priced at $1,128 (no CPU etc). Key specs, that are common to the above systems, include; an Intel C226 chipset, Dual channel DDR3-1866 ECC/non ECC up to 32 GB (240-pin, 2 slots), 1x PCIe x16 Gen 3 (shared with graphics card), 2x mini-PCIe expansion slots, 2x HDMI 1.4 and 1x DP 1.2 integrated, 4x SATA 3.0 2.5-inch drive capacity with RAID support, 1x M.2 M-key SATA 3.0, 1x mSATA SATA 3.0, 2x Gbit Ethernet is integrated, Wi-Fi 802.11ac + BT 4.0 (miniPCIe), 4x USB 3 on rear, 6x USB 2 (4 on front), 3x RS232 ports, integrated audio I/O. The Airtop PC is built in an all aluminium chassis measuring 10cm (w) x 30cm (h) x 25.5cm (d) and weighing between 4Kg to 7Kg, depending upon configuration. Compulab says that the Airtop is already available for reviews and select business customers. Pre-orders will begin and products will start to become generally available during Q1 this year. Thanks to FanlessTech for the tip. Everything can look good in concept, hopefully the real thing will be just as good if not better. Then we can see some temps. That gaming pc looks like it'll get hot. tbh passive cases like this have been around for over a decade (remember looking in to one when we had some heat issues at an old workplace), using heatpipes, case panels and clever shaping/ducting to “chimney” the airflow through hot components. Streacom do a nice fabnless range for HTPCs, although they've (obviously) got somewhat lower heat capacity. 200W of dissipation in a case that size is pretty good, but it isn't enough (IMNSHO) to call it out-and-out powerful - as demonstrated by the GPUs they're supporting (GTX 950 is distinctly mid-range). Its an interesting compromise of size, performance and low noise, but you'd have to have a fairly niche requirement for it to hit the mark on all three counts….